Love, Lenore: jacy's bikini picks! Fun prints are always a do in swimwear, but the trendiest prints can change from season to season. The ones I'm loving the most this spring and summer are big florals, animal prints, and bright Aztec-inpired patterns. 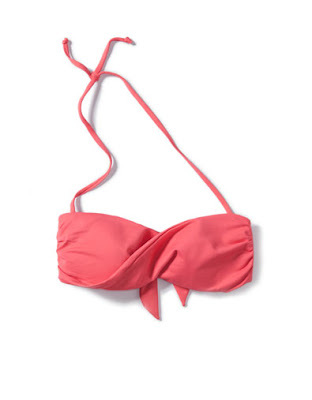 Spring and summer are always all about coral, but this color is especially prominent this year in swimwear. Not only is coral flattering on anyone, but it's ultra girly and I think it makes you look more tan! I love "boho" everything and in swimwear I think it's just the cutest. The patterns and crocheted details have a sort of retro, 70's vibe. Ruffles on swimwear are simply feminine, flattering and beautiful! Need I say more? What are your swimwear favs this season and which of these trends are you especially loving?? Fortunately I already have multiple coral and bandeau swimsuits so I'm going to be on the hunt for just the right printed bikini! 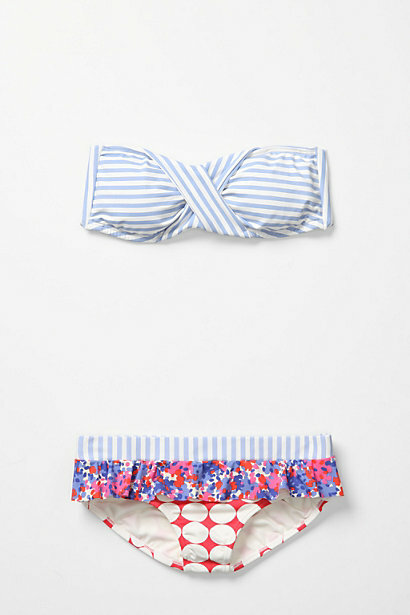 The Anthropologie's bikinis are awesome ! Oh yay! I love Candice :) I'm personally LOVING the last bikini in the Bohemian section!! The back is gorgeous! Omg I need it! :) I also love the first swimsuit in the ruffles section. The color and style is so precious! Thanks for sharing! I know, that crochet detail is too cute!! Thank You for sharing - loved hearing what you loved! Oooh that striped bikini top and circular print bottoms by Anthropology have caught my eye! NEED! love that grayish bandeau top bikini. so cute! 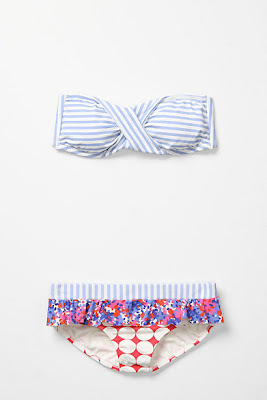 Love the striped Anthropologie bikini! Adorable print. The Micoh bikini is absolutely gorgeous! Pity we didn't have much of a summer here is Australia! I wish we have anthropologie in Italy, that bikini is to die for! i love all of those printed suits! this year i want a coral one!!!!! you know i really really like your blog! like to read you blog.